Have you seen Peter speak? Leave a review. With 40 years of experience adapting business models and best practices to major technological innovations, Peter Fingar is an internationally recognized authority business technology strategist. Fingar is the best-selling author of 26 books, including the groundbreaking Business Process Management: The Third Wave, The Death of ‘e’, and Cognitive Computing. 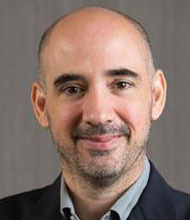 Fingar is a veteran CIO, university professor, and has served as an advisor to GTE Data Services, American Software and Computer Services, Saudi Aramco, EC Cubed, the Technical Resource Connection division of Perot Systems, and IBM Global Services. Internationally renown business technology strategist Peter Fingar knows game-changing technology when he sees it. 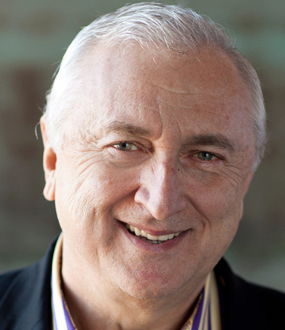 The former CIO and best-selling author of 26 books on the subject has been at the intersection of technology and business for over 40 years. He has repeatedly been one of the first people to address the practical implications of trends like the cloud, deep learning, customer-centered commerce, and social entrepreneurship. Fingar’s ground-breaking books have been drafted into the curriculums of more than 50 universities worldwide. Some of his most influential works include Cognitive Computing, Business Process Management: The Third Wave, and The Death of ‘e’. 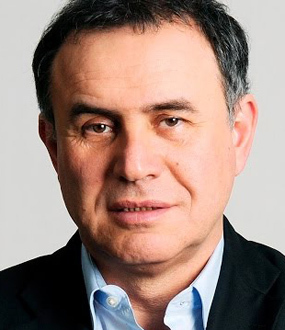 He’s delivered keynotes in London, Paris, Toronto, Riyadh, Vienna, Munich, Milan, Tokyo, Johannesburg, Dubai, Cairo, Shanghai, Montreal, Jeddah, and across the US. Fingar has served in management, technical and advisory positions with GTE Data Services, American Software and Computer Services, Saudi Aramco, EC Cubed, the Technical Resource Connection division of Perot Systems, and IBM Global Services. He was the long-time CIO of the University of Tampa and taught computing at the graduate and undergraduate levels in universities in the U.S. as well as abroad. PETER FINGAR is an internationally recognized expert on business strategy, globalization and business process management. 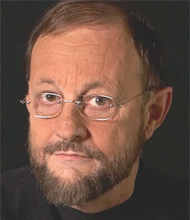 He’s a practitioner with over forty years of hands-on experience at the intersection of business and technology. His seminal book, Business Process Management: The Third Wave is widely recognized as a key launch pad for the BPM trend in the 21st Century. 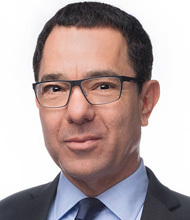 Peter has held management, technical and advisory positions with GTE Data Services, American Software and Computer Services, Saudi Aramco, EC Cubed, the Technical Resource Connection division of Perot Systems, and IBM Global Services. He has taught graduate and undergraduate computing studies at business schools in the U.S. and abroad, and has given keynote talks worldwide (including London, New York, Washington, Amsterdam, Stockholm, Munich, Milan, Paris, Brussels, Tokyo, Shanghai, Montreal, Chicago, Denver, Las Vegas, San Francisco, San Diego, Miami, Cairo, Johannesburg, Riyadh, Dubai, Lisbon). In addition to numerous articles (including CIO Magazine, Optimize, Computerworld, Intelligent Enterprise, Internet World (columnist), SiliconIndia, FirstMonday, EAI Journal, Logistics, Information Age, and the Journal of Systems Management), he is an author of nineteen books, including the landmark books, Dot.Com: The 21st Century Business Platform, Extreme Competition: Innovation and the Great 21st Century Business Reformation, The Real-Time Enterprise: Competing on Time, Enterprise Cloud Computing, IT Doesn’t Matter: Business Processes Do, Business Innovation in the Cloud, and Business Process Management: The Next Wave, Smart Process Apps, Serious Games for Business. Business and technology keynote speaker, Peter Fingar discusses the indications of the cloud, the internet of everything, and the major shifts they will enable in business practices and human life. Unlike the internet of things, a term aimed at manufacturing, the Internet of Everything refers to the massive amount of data, trillions of connections, and "deep prescriptive analytics." From an application perspective, Fingar points users to the acronym MOSAIC as a guide to the different areas their businesses must maximize: Mobile, Social, Analytics, Intelligent, Cloud. "It's no longer just 'mobile' with Apple Apps to keep your calendar up, but having a gateway into your core business systems," Fingar says. "It's not just going to be from a screen anymore - it's going to be from any device." With 40 years of hands-on experience innovating business management, Peter Fingar is one of the most knowledgeable authorities on everything leaders need to know to harness technological breakthroughs for the benefit of their companies and customers. Fingar focuses on the practical side of technology revolutions, wading through the hype and spotlighting the developments that are actually game-changers. The trusted strategist gives you an in-depth look at how business and society will work going forward, and even more importantly what your organization needs to be doing to drive innovation and stay competitive. practical lessons and the urgency to apply those lessons immediately. business and technology audience — no small challenge. His presentation was stimulating and his enthusiasm contagious. Peter, I want to thank you for a truly excellent keynote speech on Monday morning. This was a high-impact talk with exactly the right message for our institute’s audience, and it created a buzz that continued throughout the week. Again, thanks, and I’ll look forward to working with you again. Now comes the critical question, what are you, as a leader of your organization going to do –transform, or die a slow, painful death? 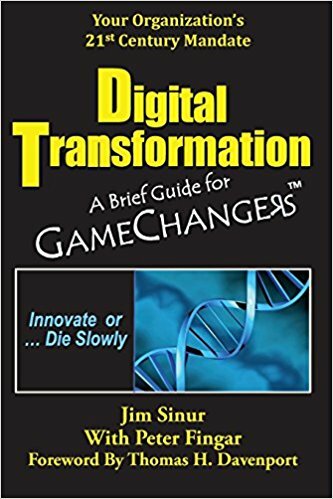 While there are already thousands of pages of literature on what is happening, this is the first book that goes beyond the “what” and on to the “how” of digital transformation for extremely busy leaders. There are no cookie-cutter approaches, but each organization needs high level, strategic guidance on how to approach Digital Transformation. But wait, extremely busy leaders of our organizations don’t have time to digest the proliferation of literature on this vital subject. It took considerable effort to condense Digital Transformation into a powerful guide for the incredibly busy leaders of organizations. As Francis Bacon once wrote, “Some books should be tasted, some devoured, but only a few should be chewed and digested thoroughly.” This very concise book is the one for busy executives, the Game Changers, to digest– and act on! Using an innovative multimedia format, this book turns the inevitable alphabet soup of gamification terms into a gourmet delight with true business substance. Readers will no doubt find themselves exploring the book’s concepts through the 60+ videos, articles and lectures cited with tiny URLs and smart phone QR Codes, all of which jump off the printed page to provide further insights from recognized experts. In the business world, gamification has typically leveraged badges, points and leaderboards in the hopes of engaging people. This falls far short of the potential of what gamification can do for businesses. On one end of the spectrum, businesses can use game design techniques in ways that are not overtly game-like to fully engage customers, partners, and employees. When well implemented, gamification can transform a work culture by cultivating deep emotional connections, high levels of active participation, and long-term relationships that drive business value. On the other end of the spectrum, businesses can utilize strategy games, simulation games, and role-playing games as means to teach, drive operational efficiencies, and innovate. 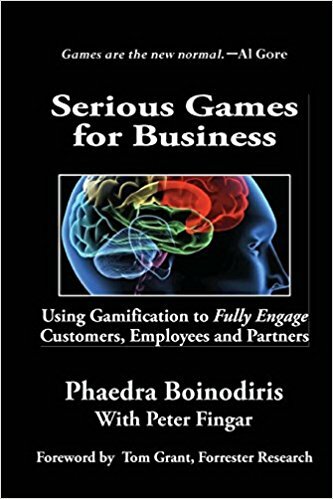 In this book you will explore the many aspects of using gamification in business and find case studies describing how organizations have embraced social collaboration using playful design to reap tremendous value. Don’t just read this book-experience it!